Through the process of getting to set up and decorate my apartment, I’ve come to learn of and love a few really talented artists. I tend to lean toward color (surprise) and whimsy in the artwork I pick out, and a few artists I’ve found do color SO well. I recently hung up a floating gallery wall in my bedroom and that’s when I first really noticed all of the gorgeous art pieces I’ve started to collect. Therefore, I wanted to highlight eight of the best artists and shops I’ve found for purchasing colorful artworks for you. 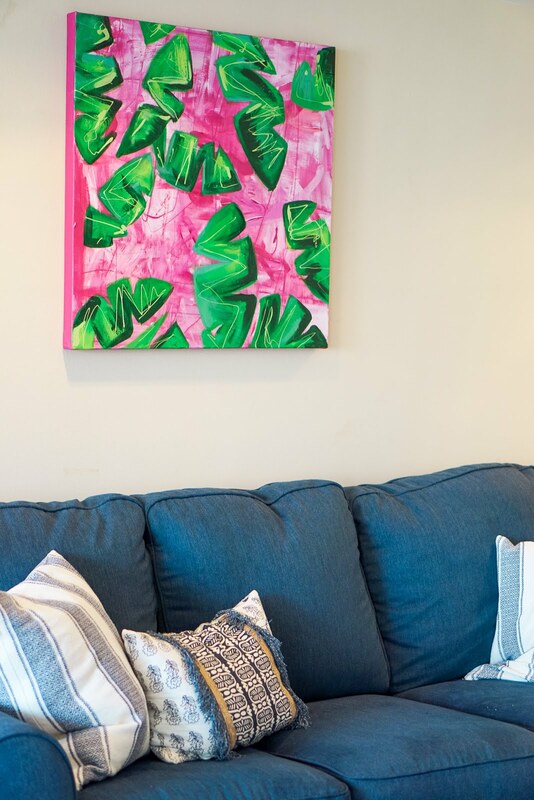 This may come in handy the next time you’re staring at a blank wall and wondering how or where you are going to find a gorgeous piece of artwork that will both pop and be personal to your style. Scroll through all of them below and make sure to check out their sites + social channels to see the breadth of their talent! Evelyn Henson is the definition of whimsical and personalized prints. I get asked about her Map Series all the time and her prints truly make the best gifts– especially if you know someone who’s moving or studying abroad in a new city. I have the Prague, Vero Beach, and Philadelphia maps! I told Katy Garry that I’d love a “crazy banana leaf canvas in hot pink and green to go above the couch in our living room” and she just DID IT. Her custom work truly goes above and beyond and she’s a JOY to work with and know. If you are looking for a bold, powerful statement piece, look no further! 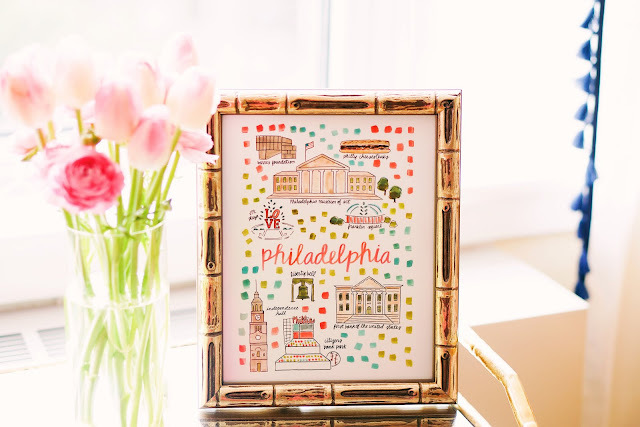 Shelby Dillon is based in the Mainline, PA and her work spans across paintings, prints, makeup bags, clutches, pillows… and more. Her pillows are BEYOND gorgeous. 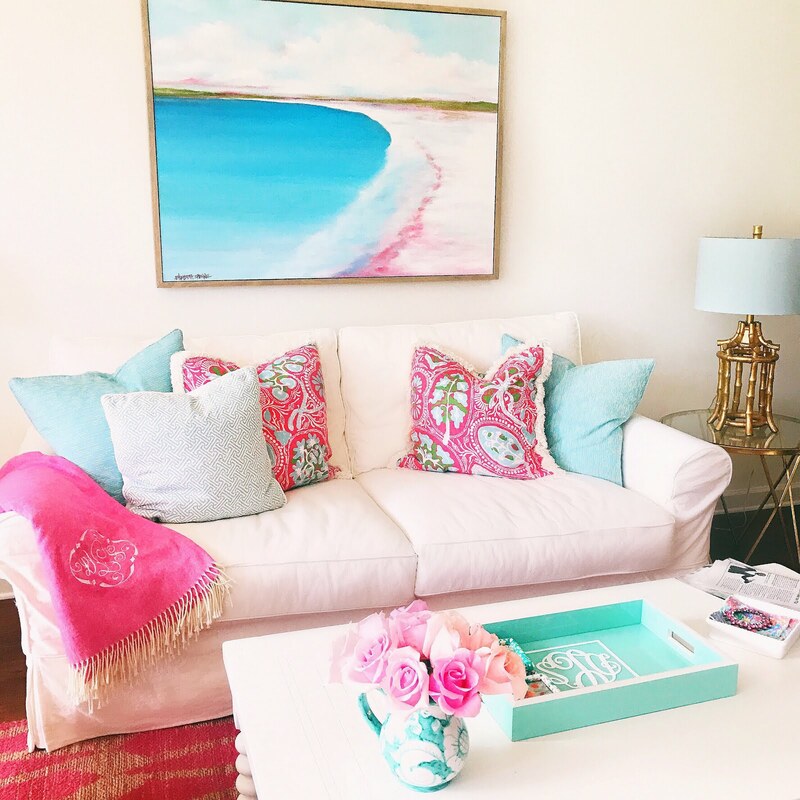 I also have a piece from her umbrella-themed “Beach Life” collection and the colors and energy it shares are so warm and summery. 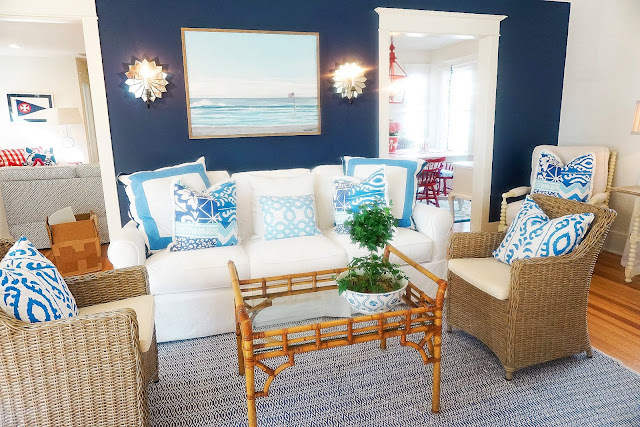 For my past birthday my parents gave me Gray Malin’s BEACHES book (I’ve since then also gotten his second book, ESCAPE, as well) and they told me to pick out a piece of his for my apartment. It’s been almost a year since then and I’ve been going back and forth trying to decide. 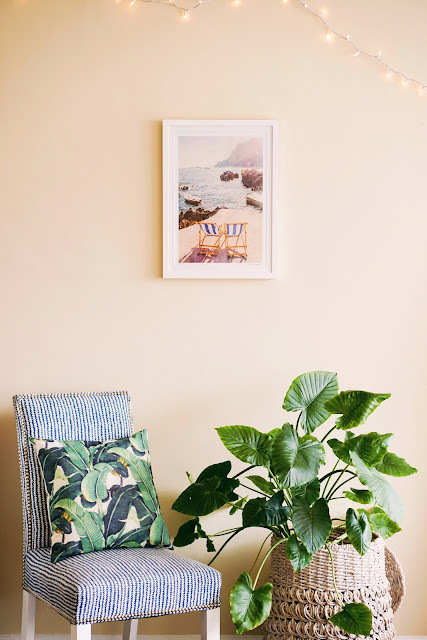 Every print is just so gorgeous and they capture so many of my favorite places– St. Barths, Positano, Capri, Palm Beach… I’ve just been able to decide on the “Two Chairs, La Fontelina, Capri” print. When I visited Italy this past May for my graduation trip, I had some of my favorite days of my life. 🙂 La Fontelina was one of the most magical spots I’ve ever been to– you can just see the warmth in this photo. Megan Carn does the best dog portraits I’ve ever seen. It’s only a matter of TIME until I commission her to do one of Liberty. 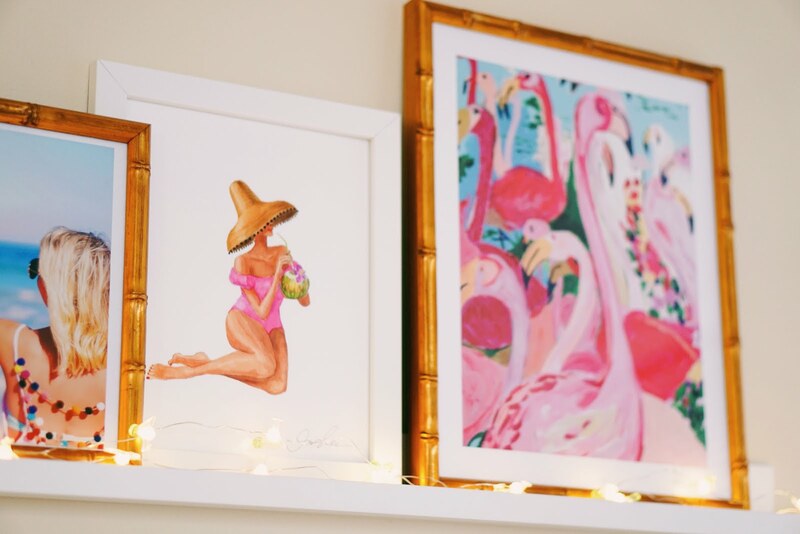 But, second best to dogs, she was kind enough to send me a flamingo print entitled “PARTY PARTY!” I couldn’t think of anything more me– or a more perfect book end piece for my floating shelf gallery wall. 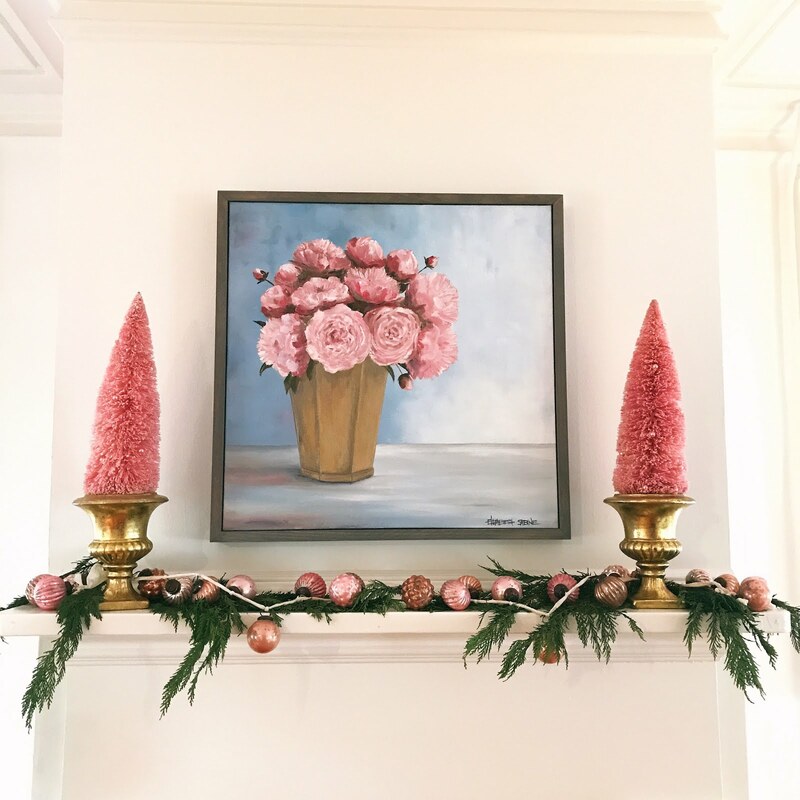 Okay, so I don’t personally own any of Elizabeth Sabine’s work (YET), but my mother has made it a habit of commissioning her to create one of two things: beach scenes and peonies (what else??). The below three paintings are all pieces that Elizabeth created for us based on my mom’s visions and the colors we were using in the room– she takes fabric and paint swatches to match and coordinate it perfectly. 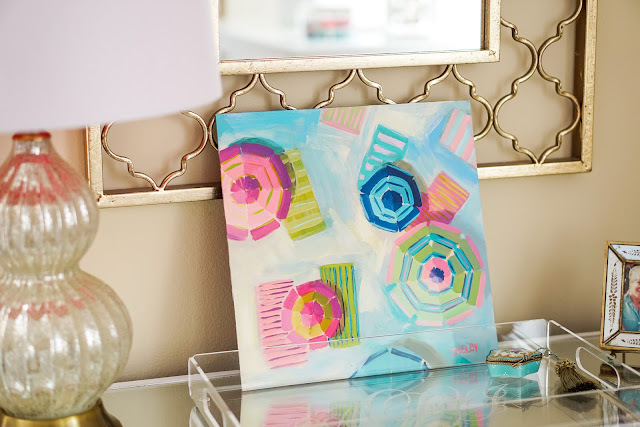 Her work is center-of-the-room type of art and has a calming effect when you’re in the same room as it. Kristen and I have so many similar favorite places– she has New Jersey roots, goes to John’s Island in Vero Beach, and lives on the Mainline, PA now! 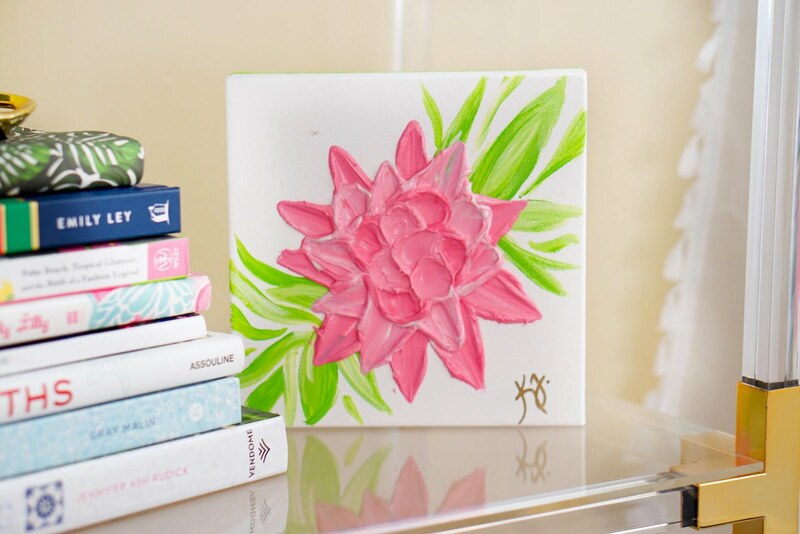 Her work is abstract and colorful– she does blues and whites SO well, but created this pink and green Lily piece for me (she spoiled me!!). It’s textured and the perfect size to put on my decorative acrylic shelves in the corner of my room.